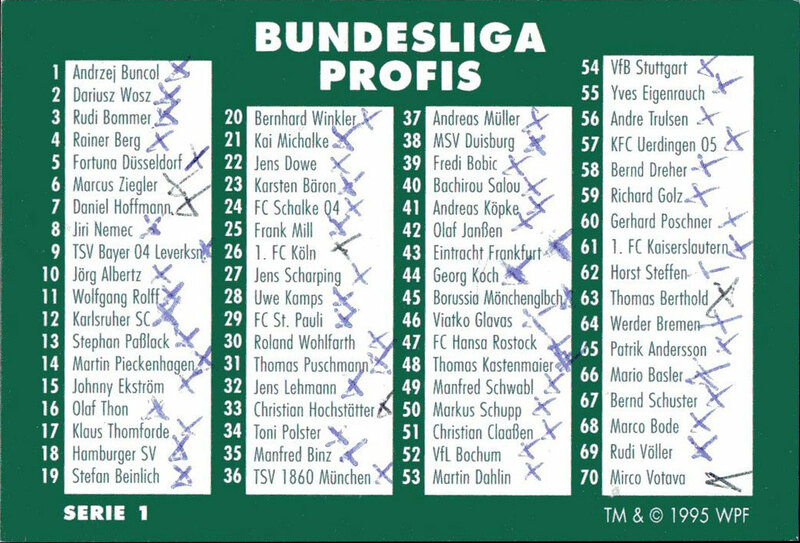 World POG Federation (WPF) > Schmidt > Bundesliga Checklists etc. 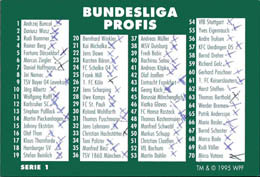 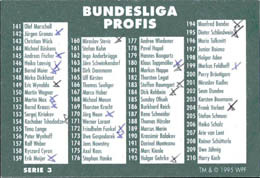 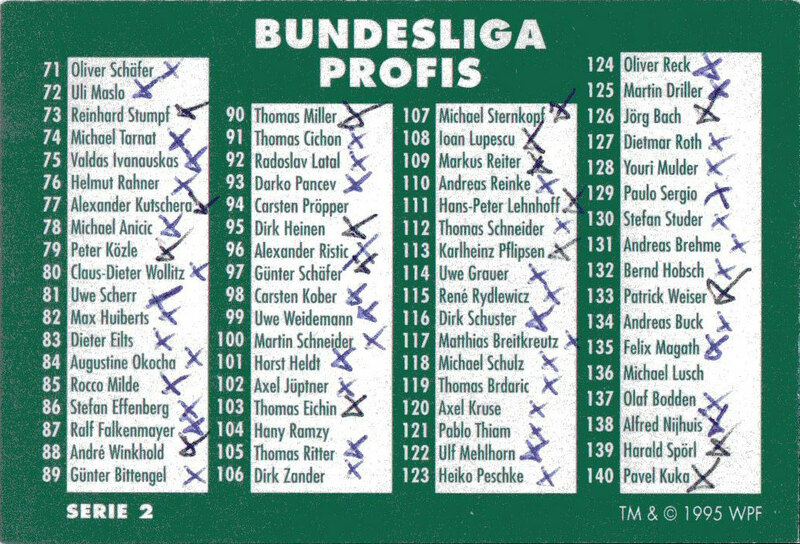 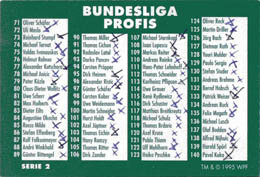 Info:These checklists accompanied the first 3 series of Bundesliga pogs and the Asutrian Bundesliga set. 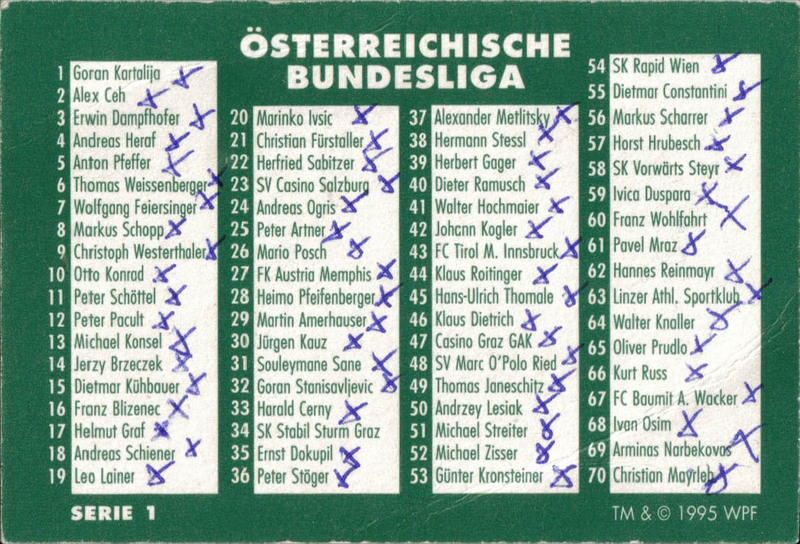 The pogs came in a Blister pack containing 8 pogs and 1 kini.